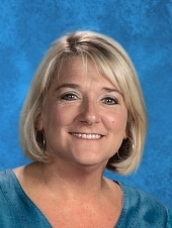 Mrs. Christie VanWinkle graduated from Tennessee Technological University in 1995 and began her teaching career in Putnam County at Baxter Elementary. She taught for twelve years before becoming an Assistant Principal in Cumberland County at Frank P. Brown Elementary. She was Assistant Principal for two years and then accepted the position as Principal. During her five years as Principal at Brown Elementary she worked with faculty, staff, students, and the community to transform BES into one of the top schools in the state. Frank P. Brown Elementary was recognized as the top middle school for most dramatically improving student achievement and received the Tennessee SCORE award in 2013. Mrs. VanWinkle is a state TEAM Trainer for principals, administrators, and teachers in the Upper Cumberland area. She has earned her Bachelor of Science in Education, Master of Arts, and Specialist in Education in Instructional Leadership. 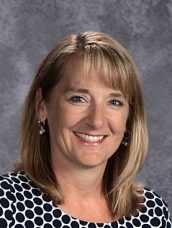 She served two years as our Assistant Superintendent over Human Resources and Administrative Services, and now is back following her passion for School Administration as Principal here at Glenn Martin Elementary. Mrs. Kasey Lowe started her career in education in 2004 at North Cumberland Elementary as a School Counselor. Her entire career has been spent serving the children of Cumberland County. Mrs. Lowe earned a Bachelor of Science degree in Agriculture, Master of Arts and Educational Specialist degrees in Educational Psychology and Counselor Education and an Educational Specialist degree in Instructional Leadership, all from Tennessee Technological University. Mrs. Lowe believes that all children deserve a safe and loving environment in which they can learn and grow. She is very excited to be back at Martin Elementary as Assistant Principal.